Gmail is known to be one of the biggest email web-based services with millions of internet users. Thousands of online marketers and individual do make use of the gmail service for there web-based business or online business precisely, and with the help of gmail account, some google business services, like google adsense, youtube, google webmaster , analystic and many other related google services are being accessed with the help of the gmail service. 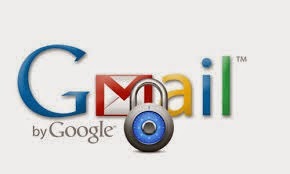 Most gmail account stands the chance of being hacked due to the ignored security tips being provided by Gmail service, and this has lead them to the lost of so many online transaction being made. Today’s stroll, I would brief you guys on the best ways to avoid your gmail login details from being exposed. Always enable the use of https because it is understood by google that the use of https helps to improve internet security, and with it, your gmail account stands the chance of being unhacked. To enable the https, simply login into your gmail account, then navigate to settings > general > 5th row, then get the https enabled from there. Make sure that you do activate the step 2 verification. Most individual do ignore the step 2 verification of there gmail account, forgetting that the step 2 verification enhances security. I do advice you go through the step 2 verification of your gmail account, because that’s one of the best way to keep your gmail account safe and it won’t be easy for any hacker to hack through your account. So simply move to your gmail account, and follow the step 2 verification for few mintues, it helps you to generate a backup phone number and printable codes for your gmail account. Also make sure that you reguraly check your IP login session to know the recent activities in your gmail, and this would also help to track down if your gmail account is being accessed by a unathourized person, checking the accessed location of such person. To check your gmail IP session, simply login into your gmail, and scroll down, then you should see “Last Account Activity”, and then check the login sessions from there. I also advice you check your gmail grant account access, by navigating to settings > Accounts and Imports > Grant access to your account, through that interface, you can then get to notice any for of unauthorization in your gmail account. Also check your gmail option and settings reguraly, like the filters and forwarding and POP/IMAP. Remember to deselect forwarding option under settings. Also check other setups to see if your account is compromised, like vacation responders and signature, and also check filter that forwards or you can delete messages under settinhs > filter. Try to select a very unique security question and answers to them. Most individuals also ignore this process, not knowing that it’s the best security measure towards gmail account recovery. To enable security question on your gmail account, simply navigate to settings > Accounts and Imports > Google Account Settings then click on “Change password recovey options” and verify your security questions from there. You can also verify your phone number and sub-email account from there. I also advice you do make use of most security plug-ins to avoid being your gmail account being hacked by scammers or phlishers. You can get some few plug-INS for your browser, like Web of Trust or Better Privacy; that plug-ins would really help. Also make sure you do backup your emails, just as I explained previously. Simply move to settings > Accounts and Imports > Google Account Settings then click on “Change password recovey options” and backup your email from there. Make use of different passwords for each online service, to avoid your account from being hacked from untrusted sites or phlishers rather. Also make sure you make use of very unique and strong password on your gmail account, by checking the password strenght when inputing it. Remember that the use of alphanumeriacal values and also signs also helps to increase the strenght of your gmail account. Finally, never trust anyone whenever you’re inputing your gmail details. One it comes to my online business, I do have trust issue with my friends, because that can be tempted to access my gmail account once the login details is left exposed to them. So I advice you, never to trust anyone, when inputing your gmail detials. Simply excuse such friend and he would understand for privacys’ sake. 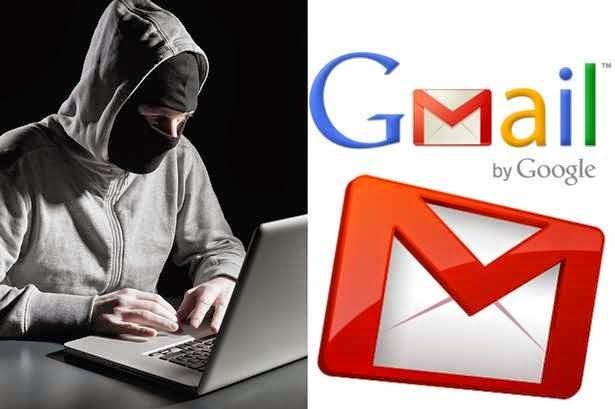 In conclusion, I must advice you implement the above security measures towards protecting your gmail account, and also avoiding it from being hacked or your gmail login details from being exposed. Remember, Jodi Well once quoted, “At the end of the day, the goals are simple: safety and security”.